Hi, my name’s Amanda, and I love beauty products. I actually can’t remember a time I DID NOT love beauty products! I remember as a reward for ‘good grades’ in Kindergarten (doesn’t everyone get good grades in Kindergarten?! ), my mom brought me to Toys ‘R’ Us (R.I.P) to purchase my very own make-up kit, which my younger sister later smeared all over her face and my carpet. However, it sparked a life-long love of all things beauty! No matter how drastically I cut my budget, I always find room to squeak out some products to keep my face happy, and my sanity in check. I truly think it is a form of mental healthcare. Beauty is self-care to me, and, I think, to many people. It makes us feel good to take care of our skin, nails and hair. Similar to how I feel when I carefully cultivate my closet, and organize the contents, I feel peaceful and content after finishing my morning and nighttime routines. As I’ve gotten older, I have tried SO many beauty products, and at this point, I consider myself a bit of an expert in the realms of makeup and skincare. Being in pageants helped a little, too! Although I am constantly trying new things, the items below are things I will continue to use, as the results I see are just too good to give up. Although I have mixed in some cost-effective options, some of these items can be a bit pricey. If you’re already an expensive skincare junkie, there’s a way to keep those products in the mix, while still remaining on a budget, saving for a home, or paying off large quantities of debt. First things first – make a budget. Write down every single thing you can possibly think of that falls under the category of ‘beauty’ on which you spend your money. Think: facials, manicures, pedicures, waxing, spray tans, products, hair appointments, Botox, etc. Important step here – include how many times you BUY a product a year. For example, if I buy mascara twice a year at $10/each, I put the quantity as 2, and the total cost as $20. Now, add all of those numbers up, using approximate cost per item. When you have a total amount you spend on beauty per year, divide it by 12, and add it to your budget. Every month, this amount comes out of your checking account and goes into either 1/ a savings account, or 2/ an envelope in cash. This is called a ‘sinking fund’, and it works for any category like this, such as Christmas presents or maintenance on your car. Whenever you are out of a product, or a hair appointment comes up, you know you have a guilt-free stash of cash waiting for you to spend, because you’ve already accounted for it. Before you do this, if you’re trying to cut costs, see if you can eliminate some costs. Strategies would be switch to do your nails and toes at home, get ombre highlights instead of traditional highlights so you have to go less often, stick with the more expensive products for your face, but maybe switch to drugstore mascara, body wash, and shampoo, so on and so forth. I have cut down to having my hair done only twice a year for about $130 (including tip) each time. My local salon offers $25 mani/pedi Mondays, so once a semester, I treat myself as a reward for finishing another graduate school semester. Usually, I have classes on Mondays and wouldn’t be able to make it, so making it to the end of the semester is the perfect way to celebrate AND to snag that deal. I also have mixed it up with some new, more affordable products, instead of only sticking to the super expensive products. While I am a self-admitted product snob, I recognize drugstore products have come a long way, and many of them are just as good, if not better, than some of our expensive favorites! It also pays to recognize where it’s worth paying up or down. You only get one face, so I believe in investing in high-quality skin care. That could be a brand you believe it, ingredients you support, ‘clean’ beauty or based on price alone, but it has to feel right TO YOU. You’re the one that’s going to be using it, after all! If you’re unsure where to start on this, gets some help! Sephora offers in store consultations as well as (3) FREE product samples per department. That means you can get (3) hair product samples, skin care samples, and perfume samples, for a total of (9) samples, all for free! I do this on a regular basis, especially for perfumes, hair masks and face masks. After having acne for my teenage years and early 20s, I have learned to take care of my face. I never go to bed without washing my makeup off, and rarely wear more than just a tinted moisturizer, unless I’m going out. To help you out, I’ve wrangled up some of my favorite products below. There’s a reason this has been called the holy grail of skin care; this stuff is a miracle product. I noticed a HUGE difference in smoothness, tone, and pore size after just three days of use. I kept coming back to Sephora to get more free samples of this, because it was so dang expensive, until I finally bit the bullet and bought the duo kit, which comes with the Luna oil. It makes it slightly more affordable at $90 for both, rather than each product’s $105 price tag, but it’s still an investment in skin care. I encourage you to try a sample and see if it’s for you! I rotate this into my schedule 1-2 nights a week, followed by Luna Oil and Vitamin-E cream. I will do 2 weeks of doing that routine every night, then alternate two weeks of Differin and Vitamin-E cream every night, to switch up my routine. What it is: A truly all-in-one AHA Treatment, powered by lactic acid, that clarifies, smooths, and retexturizes the appearance of skin. Two things to know about Luna Sleeping Night Oil: 1// it works, and 2// it stinks. No, really. Read the reviews – half of them are talking about how they had to stop using this product because it smelled so bad! Luckily, it seems like the good folks at Sunday Riley caught on, because the new formula smells A LOT different than when I first starting using this, about 18 months ago. Overall, this plumps up my skin and greatly reduces redness for me. When using it with Good Genes, I definitely noticed my wrinkles softening and my pores shrinking. Check out the duo kit which comes with both products for a break on the price. What it is: A next-generation retinol oil that supports the look and feel of skin plumpness, while improving the appearance of wrinkles, redness, and pores for younger-looking skin. The scene: Bloomingdale’s, right before Christmas. A friend had bought me a gift that I wasn’t crazy over, so I brought it back to Bloomie’s to exchange it for something I DID want. I knew I wanted new leggings, and couldn’t resist a glance through the beauty counter. I have always been a HUGE fan of Kiehl’s, and I love their Rare Earth mask. After browsing their store, I settled on this product, mainly for how good it smelled alone. Since then, I’ve used it about 2-3x a week after showering, and I can tell my hair is much healthier-looking and shinier after I do use it. Also, it could be helping my hair to grow, combined with my vitamins and shampoo/conditioner duo. A reparative treatment to strengthen hair and reverse damage. 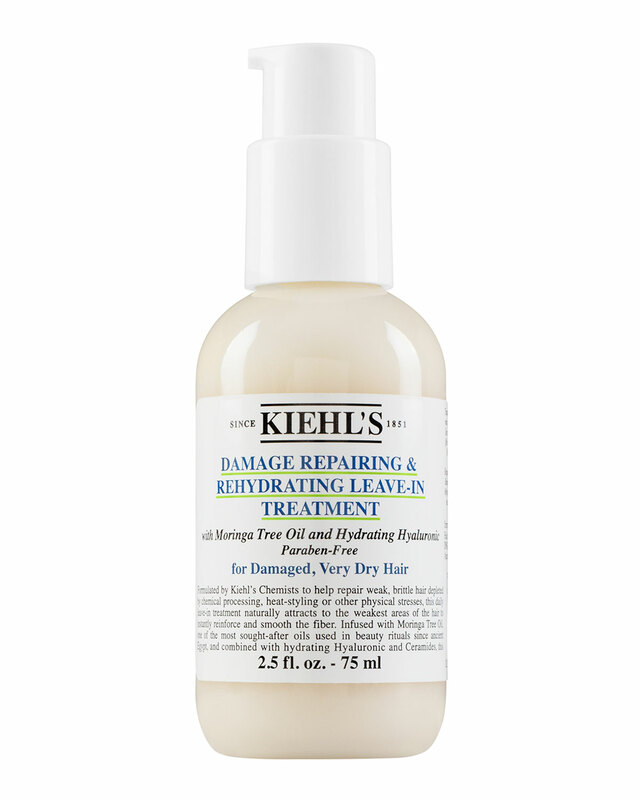 Restores moisture and repairs damage at the weakest areas of the hair fibers. Infused with Moringa Tree Oil and hydrating Hyaluronic and Ceramides to smooth and fortify hair fibers and enhance manageability. Ideal for chemically-processed hair or excessive heat styling. Paraben-Free. THIS. Kat Von D can do no wrong, beauty-product wise, in my opinion. I’ve always loved her brand’s stance on being vegan and cruelty free, and mainly paraben free. This was part of a Sephora sample pack I received for Christmas, and after I used it up, I knew I needed to purchase the full-size version. I have never really used powder before this, and I was amazed at what a difference it made in how long my makeup lasts, and how much less shiny my skin looks at the end of each day. I have always had an issue with my mascara caking under my eyes, and causing little black pools to form. This has to do with the fact that I am blessed with naturally long eyelashes, and so my bottom lashes touch the skin beneath my eyes and get mascara everywhere. When I used this powder on my under eyes, it doesn’t happen, and for that, I am grateful. Kat Von D’s groundbreaking technology reduces the weight by 45 percent compared to the leading setting powder*, so you get a better finish with no chalkiness, no flashback, and no added texture. This was another product duo I uncovered completely by accident. My mom bought me a Sephora gift card for Christmas. My hair was looking really dry, and just generally ‘blah’. I knew I wanted some new hair products, and after digging around on the site for wavy hair recommendations, I found these. I couldn’t love them more! My hair is so soft and shiny when I use them, they smell amazing (like the ocean, salty air, coconut-y, sunscreen, clean air) and they make my wavy hair look like the perfect beach waves. Plus, the duo is $28, which is within my price point, and each set lasts about 4 months- can’t beat that! – Natural Sea Salt: Adds volume and effortless texture. – Kelp: Cleanses hair of excess oils and provide natural hydration. – Avocado Oil: Add vitamins A, D, and E and amino acids to smooth and nourish the hair. 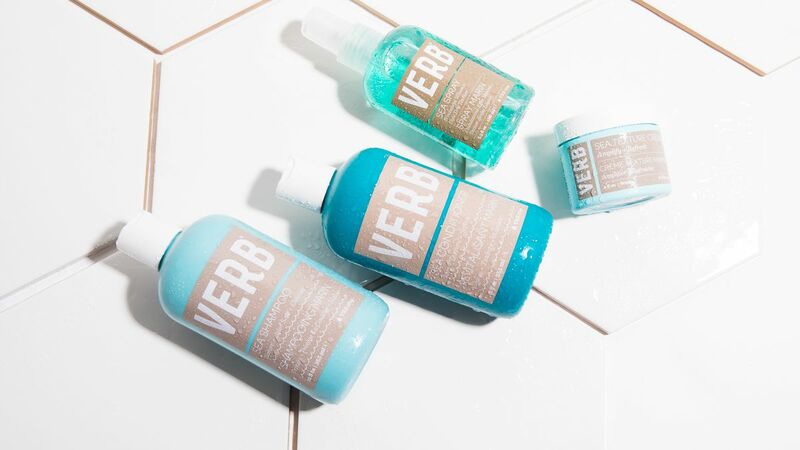 Ingredient Callouts: Free of sulfates SLS and SLES and parabens. This product is also vegan, cruelty-free, gluten-free and uses recycled packaging. Sea Shampoo cleanses hair while adding a bit of volume and beachy grit for a naturally tousled look. Sea Conditioner hydrates and softens hair while enhancing waves for soft, subtle body. Tickets to Bali not included, but this set comes with an adorable mesh bag to complete the set. I went to yoga school right above FACE Stockholm in Hudson, N.Y. When we were on lunch breaks, I would meander around the store, trying on all the new lipstick shades, before going back to class and ACTUALLY eating my lunch. For a time, I was completely obsessed with their Icelandic Mineral Solution product, which they’re no longer making, but when I came back home a few months ago, I reinvigorated my love for their lipsticks. First of all, these lipsticks DO NOT dry out your skin, whatsoever, and secondly, they have so many colors, that it will be hard to choose just one. Also, I find it stays on for hours and feel super creamy when you apply it. I have this in ‘neon pink, which is the PERFECT color for spring, and I can’t get enough of it. Also, who wouldn’t love their gorgeous packaging?! Perfect, rich cream coverage in a multitude of delectable sheer, shimmer and non-shimmer shades. I have a friend, we’ll call her Findsley, who has absolutely PERFECT skin. When I asked about her secret, she leaned close and whispered, “Do you remember that prescription acne solution from the ’90s, Differin?” and so, it begun. Basically, the active ingredient in Differin works like a Retin A. I’m not sure about the science behind it all, but it shrinks pores, purges blackheads, and diminishes wrinkles. It’s gaining a comeback, and it’s the strongest prescription strength retinoid available OTC, and it only costs $12. So there’s that. Avoid direct sunlight, apply at night, and wear lots of moisturizer and sunscreen. Don’t start out applying it every night – start with 1-2 nights a week, and be patient – it may take up to (3) months to see results, but it will be worth it. Another great beauty recommendation by my momma! It’s such a relief to not have to scrounge around $36 for my beloved Belif Moisture Bomb moisturizer, even though I still totally love it, now, I love this, too. It’s so hydrating, it glides on your face, and it helps diminish acne scarring. I loved it when I used it on my body during the deep winter, but now that Belif’s run out, I’m using it all over my face, too. If you have Celiac Disease, this is one to avoid, as it contains wheat germ. 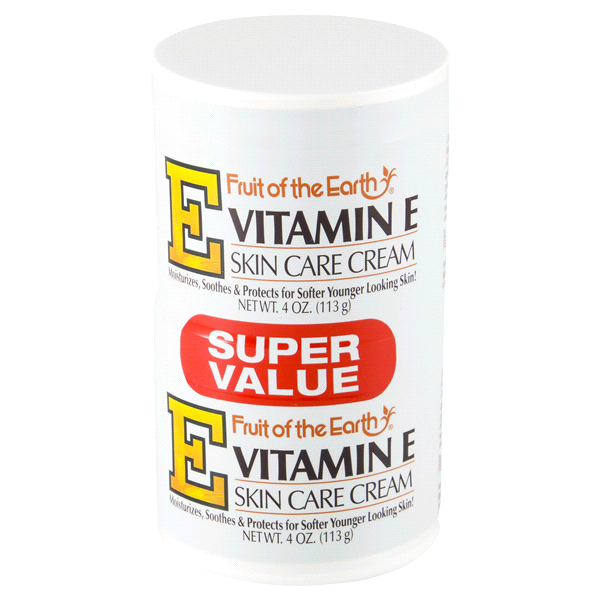 Fruit of the Earth Vitamin E Skin Care Cream provides you and your skin with nature’s best emollients. Vitamin E, aloe vera, wheat germ, sunflower seed oil, collagen and elastin all combine in this super luxurious skin cream to give you a lush skincare experience. This was a 2016 allure best of beauty award winning product, but I found it on a blog I was reading. I had given up painting my nails and toes for a few months, because I was so frustrated by how fast they were chipping, even with using top coat and a base layer. Finally, I found this, and it’s now my absolute favorite nail product. I painted my toes well over 2 weeks ago, applied this top coat, and there are STILL no chips. My nails lasted about 10 days, and it’s time to repaint them again. When you’re done drying your nails, apply this. Don’t do it while wet, or it won’t work as well, and make sure you paint the top ridge of your nail. And, at $6, it’s a score. Dr. Hauschka is sold at the yoga studio I teach at, and we get 20% off, for being instructors. I was teaching a hot yoga class over the summer, and because it was summer, many people weren’t showing up to my class. It was also a supremely awkward time slot (5pm on a Thursday), so it was just not very successful overall. However, one thing I did gain was the discovery of this oil. I was wandering through the gift shops, trying out all the products, and I fell in love with this. It’s expensive, even with 20% off at $48, but my jar is still half-full, and I have had it since November. I was roped in by the scent, it smells so good. Like essential oils, or fresh flowers, and it works really well to hydrate my face in the mornings. Also, I like to think it controls some of the oil production on my combination skin. 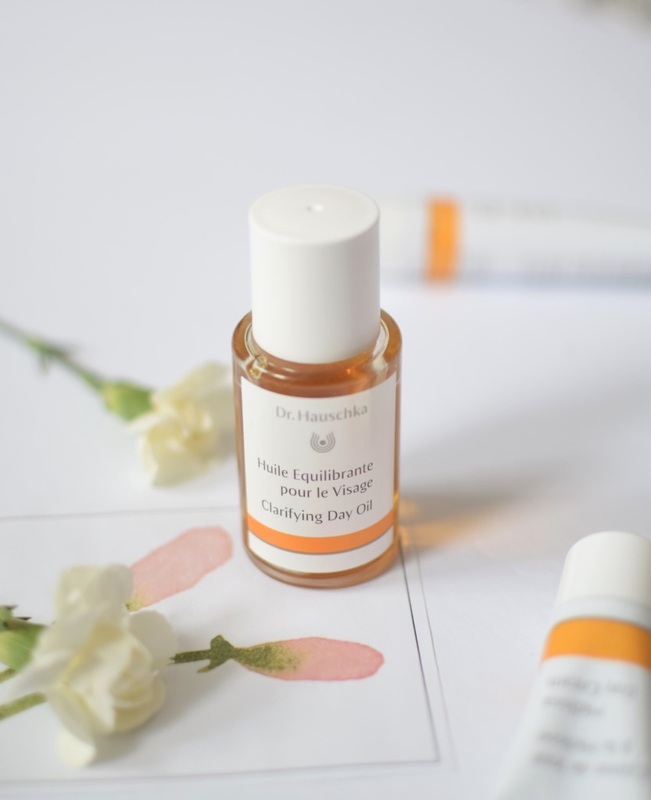 At any rate, it’s a winner- thank you, Dr. H.
Dr.Hauschka Clarifying Day Oil (formerly Normalizing Day Oil) regulates sebum levels and refines pores. Soothing calendula oil calms inflammation as antioxidants fend off free radicals. This lightweight treatment also aids in softening the appearance of hyperpigmentation and is ideal for normal to oily skin types. FANTASTIC POST!!!! I would add CeraVe to that list, I like it even better than the Vitamin E cream….I am using it even more than my Belif!! oh, good to know! I will have to try that next time my cream runs out. Hard to beat that price!